As always seems to happen when I sign up for a cool bloggy, authory thing, something jumps up at the last minute to bite me. In this case, university course drama lingers even after the semester is over, and then Greyson came down with a 105 fever yesterday which has endured into today. But I'm here...hunkered down after everyone is in bed, with the thought of this book lingering in my mind. 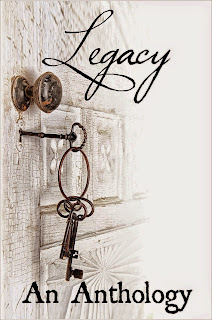 I had Legacy: An Anthology, from Velvet Morning Press, polished off before today. This collection of short stories, all constructed around the "legacy" theme, was compulsively readable, especially for a short story nut like myself. The genesis of this collection was The Book Wheel's #30Authors event, and it's so wonderful to see that initial idea grow into a tangible collection. Allison even wrote the preface! 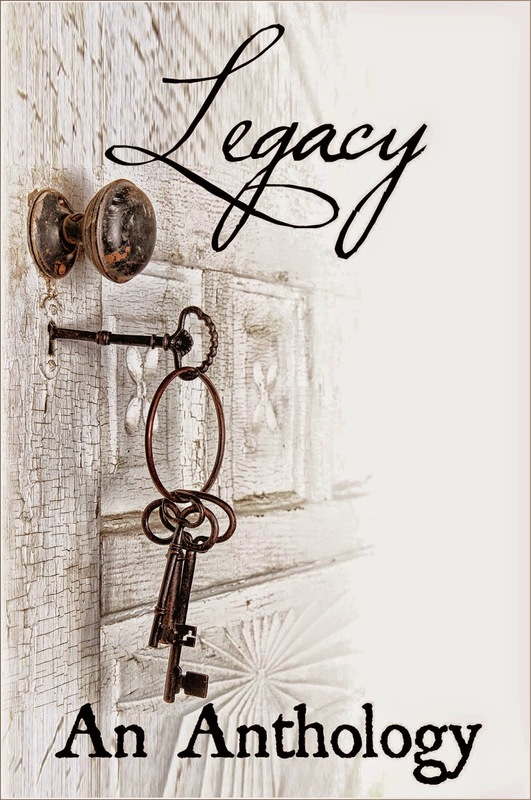 Aside from the short story angle, "legacy" is a word I find popping up in my daily life on the regular. As a public relations professional in a university setting, it seems like we're always talking to someone about beginning their legacy with us. Or continuing a legacy started by a family member, perhaps. I love the way the 14 authors who undertook to fill this book's pages examine legacy in myriad, nuanced ways...leaving their own legacy in writing. One of my personal favorites was "Hope," by Adria J. Cimino, author and co-founder of Velvet Morning Press. I'll be interviewing her here tomorrow, so don't miss it. To top off all this goodness, author proceeds from the sale of this book go to PAWS for Reading, a charity that offers children the chance to read aloud with therapy animals. Read more about it, HERE. In short, a great event became a great anthology that benefits a great cause. I can't imagine a sweeter combination. You may win the prize for "Best Review Phrase" so far. I don't think I've ever seen someone use the phrase, "compulsively readable", but I love it! Haha! I use that phrase too much, probably, but sometimes it's just SO true! Right? Really unique and special. Super bookish goodness - love it! A lot of painters -- Van Gogh, among them -- would do 'series' of paintings, repainting the same scene over and over in different tints or at different times of day or from a slightly different angle in hopes of finding variations in it that would ultimately bring out the true essence of what they were seeing. Doing that with a theme of short stories can do the same thing. The book sounds pretty interesting. It's on my list. Agreed! I love that comparison soooo much. I'm not that into short stories but this collection sounds interesting. I love short stories that are connected in some way, whether it's thematic or a specific setting. It brings them all together in a nice way. I'm not going to lie - when I read "Allison even wrote the preface" I "squeed" because I still can't believe it! Thank you so much for all of your support over the past year and for reading the book! I need to read this anthology! I'm glad you enjoyed it. I know what you mean about blog events always seeming to overlap with real life events! I love participating in events like this, but it can definitely be hard to keep on schedule.